There are primarily two types of industrial robots: 1- The ones used in automotive industry for painting, welding, and other manufacturing tasks, and 2- The ones used in microelectronics industry used primarily for preceision and speedy assemblies. 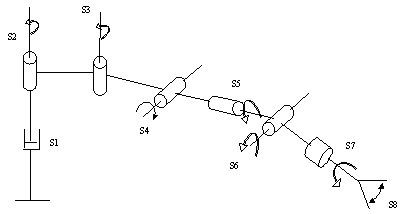 The diagrams below show an example of a robotic arm having eight joints. Each joint in this case has one degree of freedom. Of course there joints with two degrees of freedom (e.g. 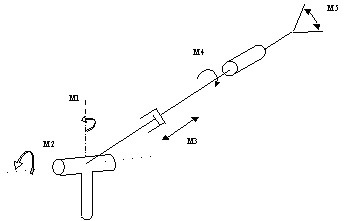 a U-joints) and joints with three degrees of freedom (e.g. spherical joints).